Swedish Krona (SEK) is the currency of Sweden, which belongs to a developed market economy. The Swedish Krona is part of the so-called Scandinavian currency group, which also includes the Norwegian Krone (NOK), which was already mentioned, and the Danish Krone (DKK). Sweden has a fundamentally opposite direction of the economy against the aforementioned Norway. Thus, the main part of the production comes from the private sector. At the same time, the Swedish economy is also considered a commodity, but not due to gas or oil inventories, but iron ore. It brings a specific feature in the dynamics of the Swedish Krona. Forest and timber industry also are important mineral wealth of Sweden. 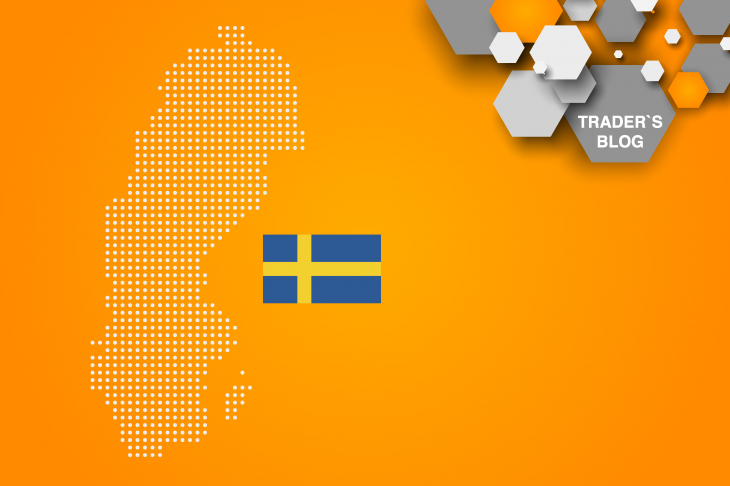 Sweden has a highly skilled workforce, that is not strange on the background of a high level of education. At the same time, the unemployment rate remains very high in comparison with other eurozone’ countries, after an unemployment jump in 2009-2010, but since then the unemployment rate continues to decline actively. Sweden’s economic policy, like the policy of the eurozone, is aimed at maintaining the target level of inflation at 2%, which contributes to a soft monetary policy. This policy is also confirmed by the extremely low lending rates of the Central Bank of Sweden. Despite its peculiarities, the Swedish Krona (SEK) is a commodity currency, but even more dependent on its neighbors Norway and Denmark. Therefore, the so-called Scandinavian currency group has a high degree of correlation. The chart above shows an example of the movement of the USD/SEK (Japanese candlesticks), BRENT oil (blue line) and USD/NOK (red line). The correlation between Swedish and Norwegian Krone does not actually differ from other world currencies and basically have unidirectional dynamics, which differs insignificantly. When trading in Scandinavian currencies: NOK (Norwegian Krone), SEK (Swedish Krona) and DKK (Danish Krone) it is worthwhile to monitor the dynamics of oil and the general trends of these currencies, which will give a more complete picture of the trade. Also, do not forget about their one-pointedness, which can act as the main factor in maintaining or changing the movement of these currencies.